As we all know that OpenSignal has announced the Telecom Operator report of October 2017. And now if you want to know the speed, availability, performance and the best telecom operator of India then here you are at right place. As in this article, we will be analyzing the latest telecom operator report of OpeSignal which is published recently. There are four operators in telecom industry which are doing great in this field. But here we are going to discuss that which operator is best among all these in terms of the speed & network availability. 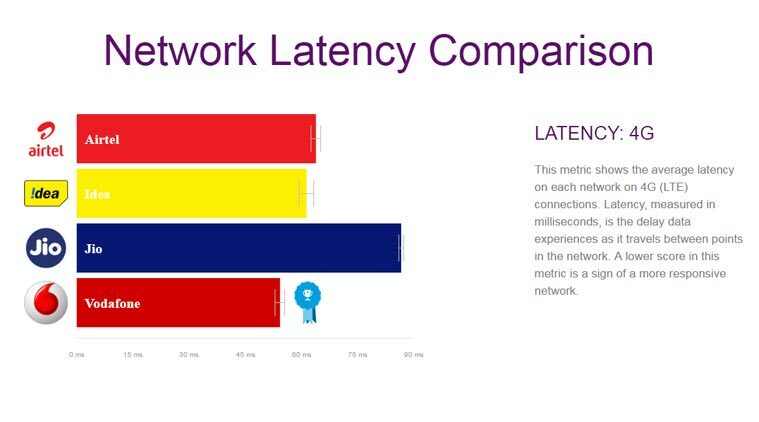 There are three aspects which we are going to talk about or comparison these are Network Availability, Overall Download Speed, 4g Download Speed. These are the three important things for an operator. The OpenSignal report is based on 7 lakh OpenSignal app users which are Android & iOS both users. The report says that Jio’s speed has increased at the rapid speed from last few days, the main reason behind the increase of Jio’s speed is the end of freebie offer. But when it comes to the 3G & 4G speed then Airtel comes at the top position, however, network reach of Airtel is quite low than Jio. Airtel is at the top of the list with 9.15 Mbps in terms of average download speeds. Meanwhile, Jio could manage only 5.81 Mbps. But when it comes to the overall download speed then Reliance Jio has reached the top position despite having an average of 5.81 Mbps. In this list, Airtel comes at the second spot with 5.05 Mbps and Vodafone was at the third position having 4.06 Mbps speed. Since this list is based on the 3G and 4G networks, but Jio has an upper hand as this is entirely 4G network. The opensignal report said that “because of Jio’s enormous LTE presence throughout the country, it topped our overall speed charts.” It added that Jio does not have the fastest LTE speed, but it “delivered the fastest overall mobile data experience.” When it comes to getting network signal then no telecom operator could even come close to the Reliance Jio. As Jio had the highest network availability which is 95.6%. Whereas Airtel found itself bottom with the network reach of just 57.2 percent. As per the report, Airel is at the top position in terms of 4g download speed but we shall not forget about the 4g data plans pricing of Airtel & Jio. There is the huge difference between the data plans pricing of Airtel & Jio. Jio is offering 3 months of unlimited 4g data at the price of just Rs.399/- while airtel is charging the same amount for just a month’s data that too limited. So, after the deep analysis, it can be concluded that Jio is the reliable network for 4g Internet users as it has the highest network availability and the highest overall download speed. Whereas Airtel just has the highest 4g download speed but there is no use of highest 4g speed when there is the network not available.